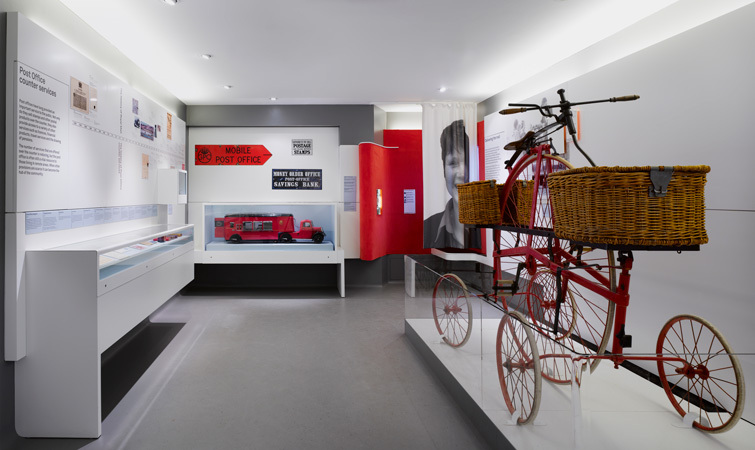 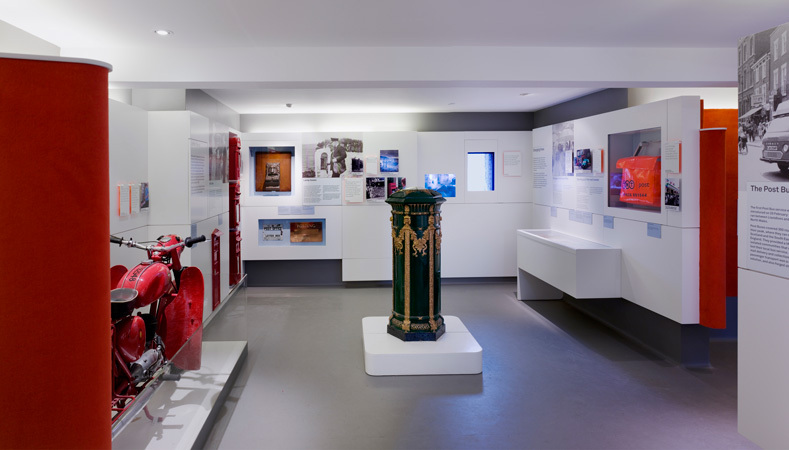 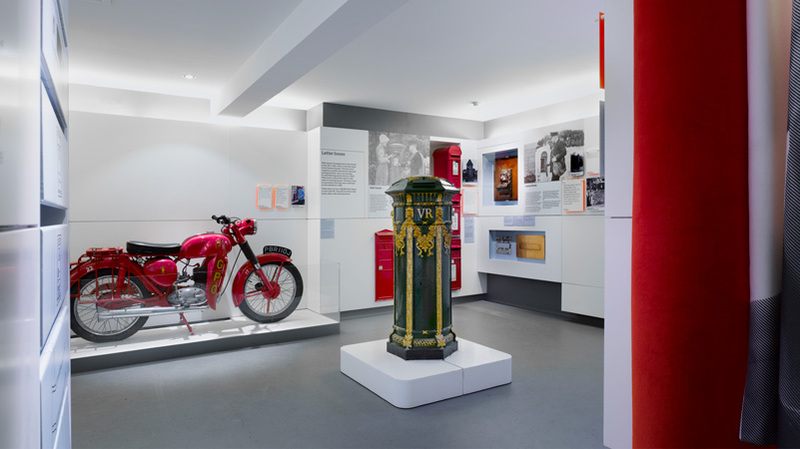 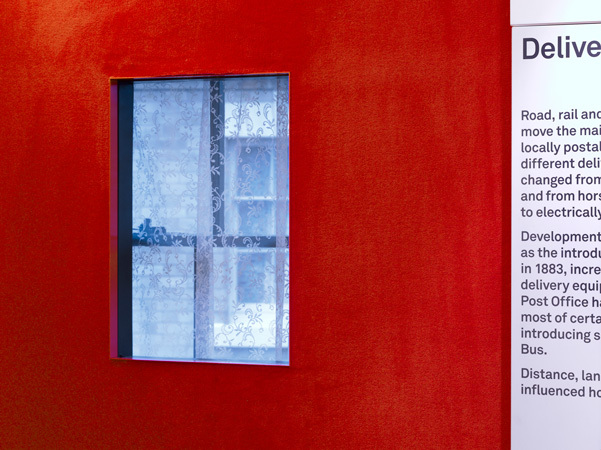 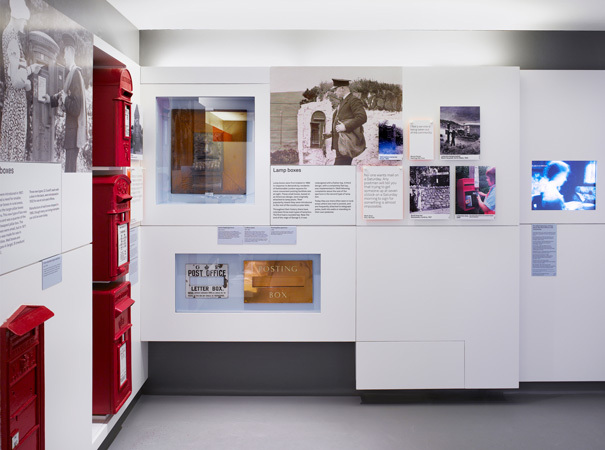 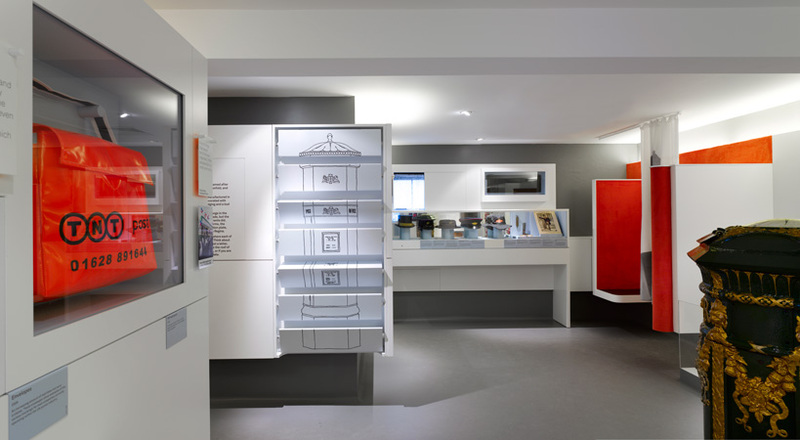 The design (with Nick Coombe Architecture) of a permanent museum for the British Postal Museum & Archive, Shropshire, 2009. 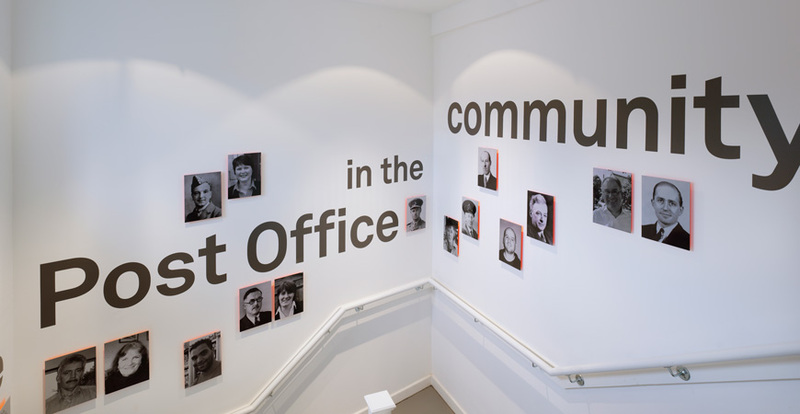 Our brief was to show how local post offices play a vital role in people's lives at a time when their future as a community service is being threatened. 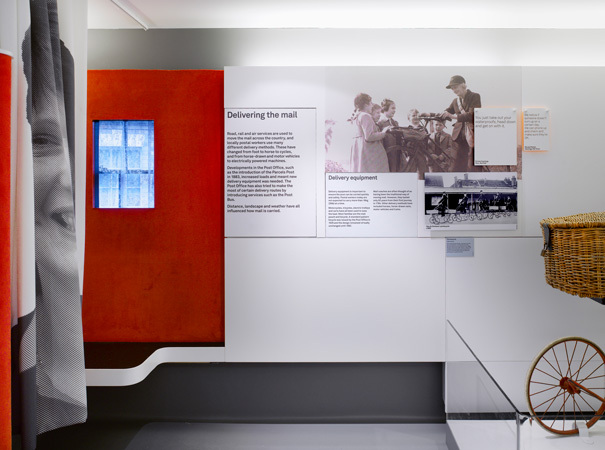 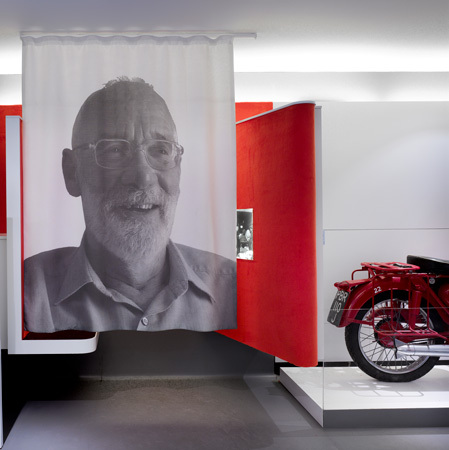 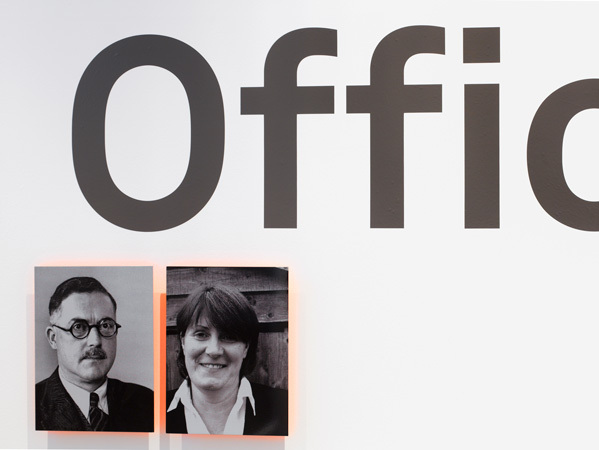 Putting people at the centre of the story, testimonies from post office users can be heard in bright orange audio booths curtained off by their graphic portraits. 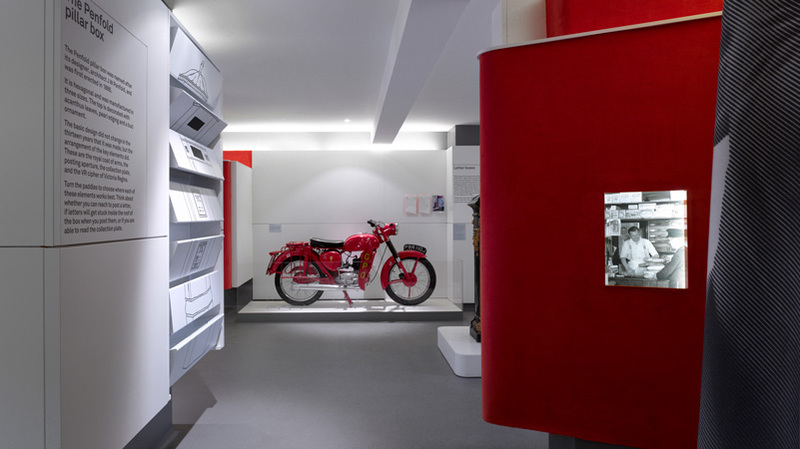 The design manages to articulate and interpret a diverse array of objects and stories in one room of domestic scale.